Our cucumbers are grown naturally in the soil. 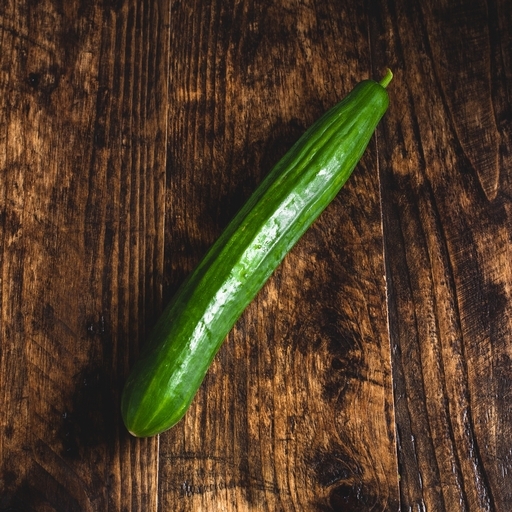 Most commercially grown cucumbers get their food hydroponically, being drip-fed water and a computer-controlled solution of nutrients – just about as far from organic farming as it gets. We like to think you can tell the difference in the sweet, crisp taste. A welcome, refreshing addition to healthy salads, or even a gin and tonic – it’s amazing how the fresh flavour comes through from a single slice. For tzatziki, mix a peeled, diced cucumber with Greek yogurt, a crushed garlic clove or two, shredded mint and salt and pepper. Lovely as a dip for pittas, or alongside lamb chops. Delivered from our farm, so wash before cooking. Best eaten fresh but will keep in the fridge for a week or more. First fruits appear in mid June and plants keep producing until late September or October. did you know? Cucumbers are difficult to grow in our climate but in tunnels they grow incredibly fast and can be hugely productive over our short growing season.